July went by super quick for me. Those who know me personally know that my boyfriend is actually in South Korea right now studying abroad. His trip was 6 weeks, he left in June and will return in just THREE DAYS! He was gone the entire month of July which wasn't fun. Anyone who has done long distance relationships know that you are constantly counting down days and trying to make the days go by faster, so that made July go by pretty quick for me! I am so extremely excited for him to be back, my heart could just explode!! :) It was also my birthday month, which automatically means it will be amazing, right? 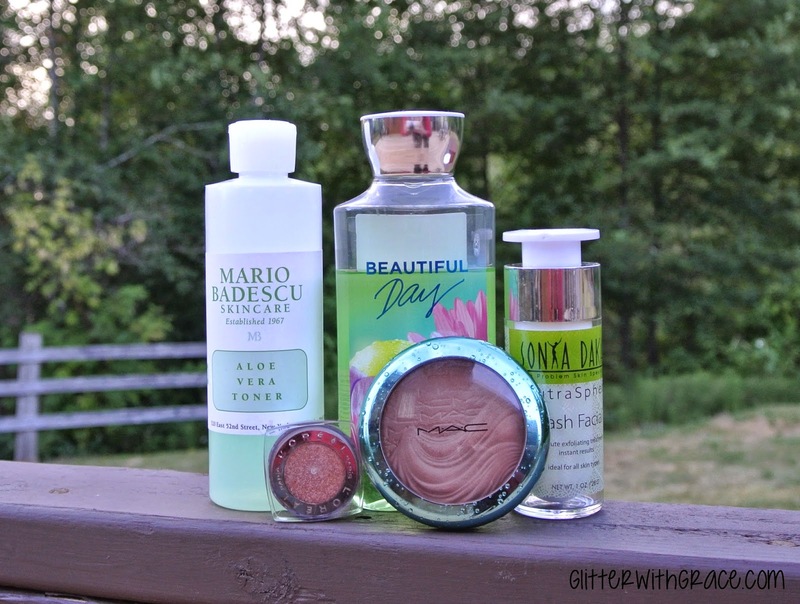 Here I am to share with you the favorite products I used in the month of July. Some of these are new things, and some are old. Here we go with the product breakdown, feel free to click on the titles if interested in more information. Up first, this toner. A skincare routine post will be coming up soon, but I've recently switched up some products and want to make sure I know my final thoughts on them before introducing them here on the blog. I use a toner morning and night, it really helps balance the PH levels of my skin and makes everything feel right. With that being said, I have to use a really gentle toner. 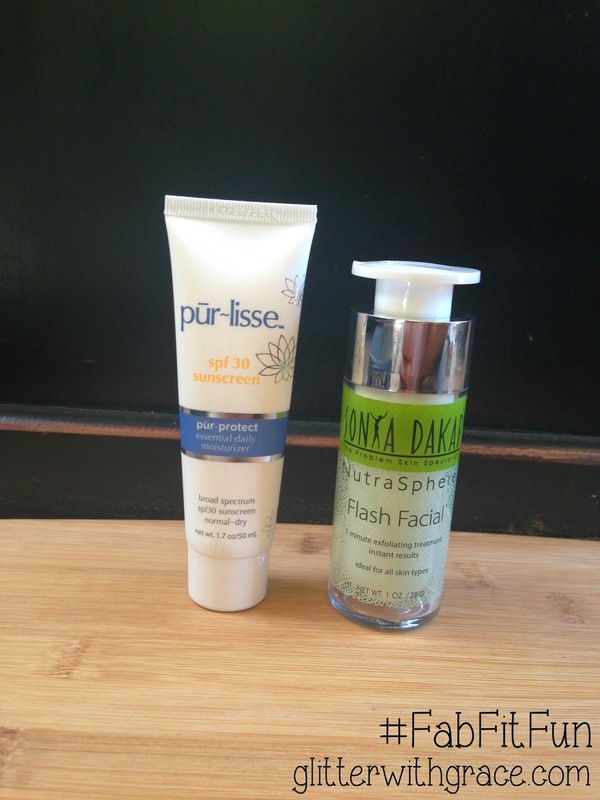 Toners that include alcohol leave my skin really irritated and don't work well with my skin. This toner is really gentle, alcohol free, and great for sensitive skin. 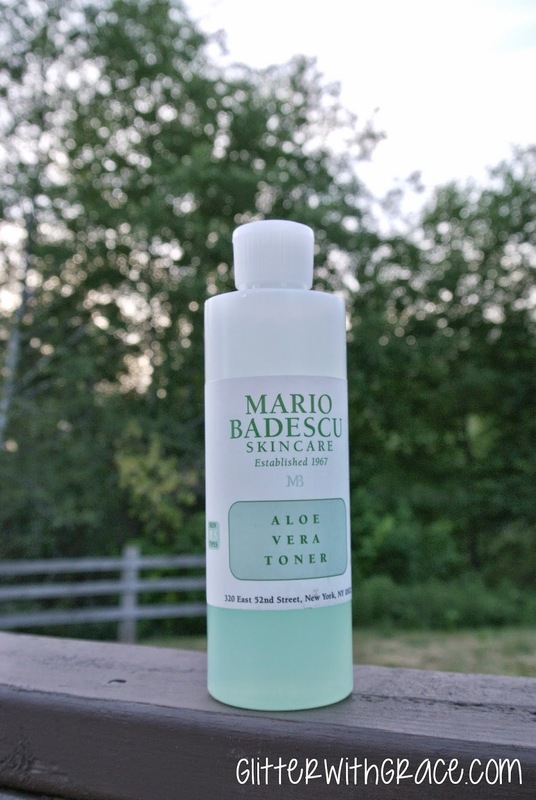 It works really well for me, Mario Badescu is one of my favorite skin care brands. I am definitely wanting to try some other toners from his range when it comes time to repurchase one! I have fallen in love with a new bronzer. This was from their Alluring Aquatic collection which I'm not positive whether it is still available in stores. Bronzer is always something that I've never really been able to find one that is perfect for me. I still haven't found that perfect bronzer that gives me exactly what I'm looking for, but I'm really enjoying this one. I have always used Hoola by Benefit, with a small contour brush. Since summer rolled around, I've completely changed up my method. I've been using a duo fiber brush which gives a more natural look and really just sweeps the product on a lot lighter than a dense contour brush would. I find this look a lot more appropriate for summer. This bronzer does have a little bit of a sheen to it, but that doesn't translate onto the skin, and appears very matte once it is on. I've been loving this! Bath and Body Works Body Wash in "Beautiful Day"
L'Oreal 24hr Infallible Eye Shadow in "Amber Rush"
I have always worn the same look, even if I'm experimenting with new palettes or new products, I usually go for a bright champagne color all over the lid, and neutral brown colors in the crease to darken it up. A few months ago I bought this eyeshadow and I've been killing it this month! I usually don't put a dark color on my eyelid, but I have been applying this on my eyelid, with a neutral brown color in the crease and it looks super bronze and perfect for summer! I love the color "Iced Latte" from this same line of eye shadows, they are so pigmented and look so amazing in any light. 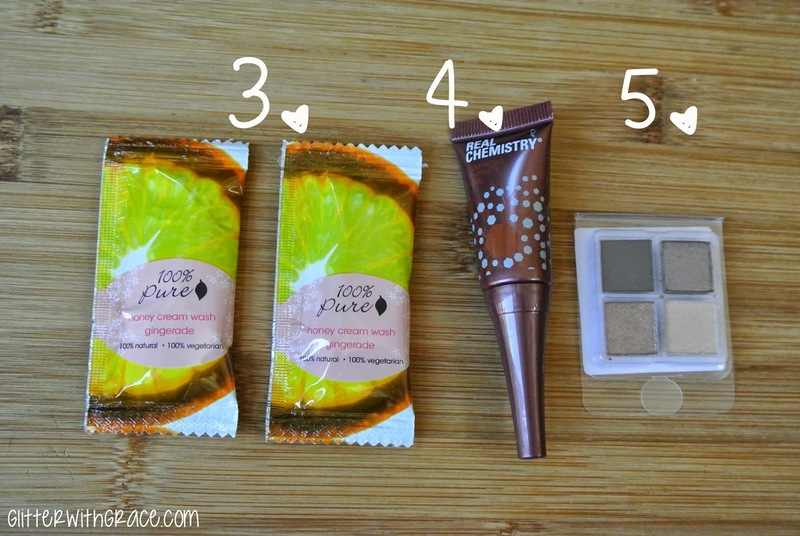 Well there you have it, my favorite beauty products that I tried this month. Hope everyone has an amazing August. Those of you heading off to college soon, I wish you the best of luck! My favorite season is right around the corner, fall :)! Up first, the color "Thandie" from Zoya. It is a really nice coral polish, in some lights it picks up straight orange, and in others you can really see the pink shining through. I didn't think I liked the color when I put it on, but after a few days I really started to love it. It is bright in all the right ways without being obnoxious. Totally office appropriate, and I can see myself reaching for this color in all seasons. You can pick this up here if interested. It lasted on my nails for almost two weeks, loved it! After this color, I transitioned into a blue manicure. I used one of my favorite colors which is "I'm Addicted" by Essie. It is such a perfect blue, in these pictures it's picking up very baby blueish, but it's more of an aqua blue. On my ring finger, I tried out something completely new to me! These are Jamberry Nail Decals. 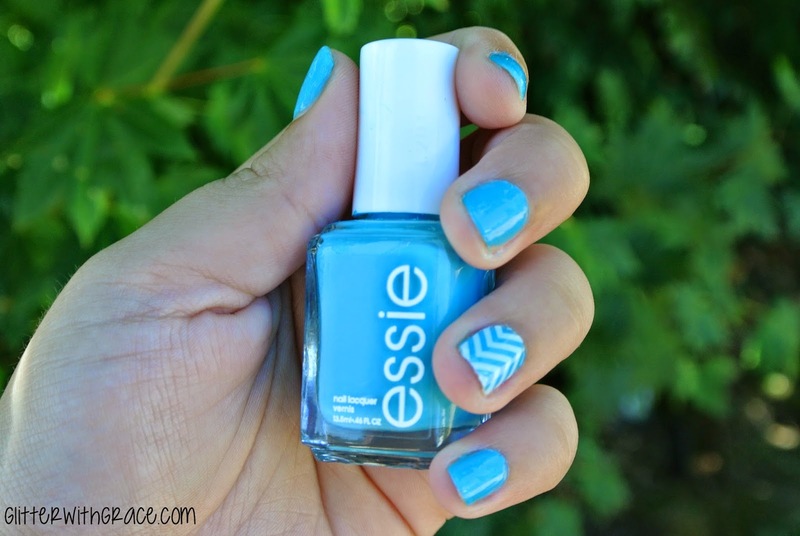 The one I used is white/clear chevron, which is why you can see the blue coming through. I was really impressed with these decals, I only applied one per hand on my accent nail, but they fit really nice (you have plenty of options for sizes) and was super easy to apply. I just put these on but my sister has been wearing a set for almost two weeks and they're still going strong! 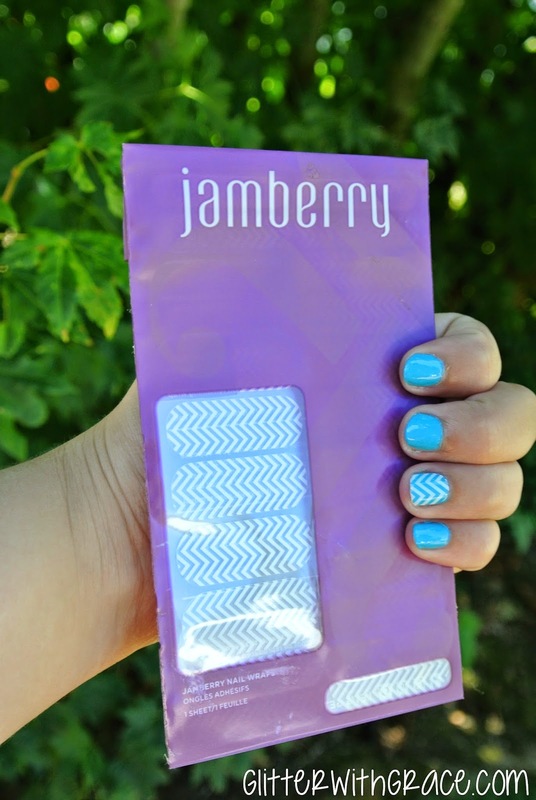 If you want to look at all the options for Jamberry nail decals, you can check out their website here. WARNING: You will get sucked in and want to order like 31 different sets. They are all so cute and trendy, I am already loving using them as an accent nail to stretch out your money for what it costs! Well, there you go! Those are the two manicures I wore this month, hopefully your month was amazing, what was your favorite nail polish you tried this month? 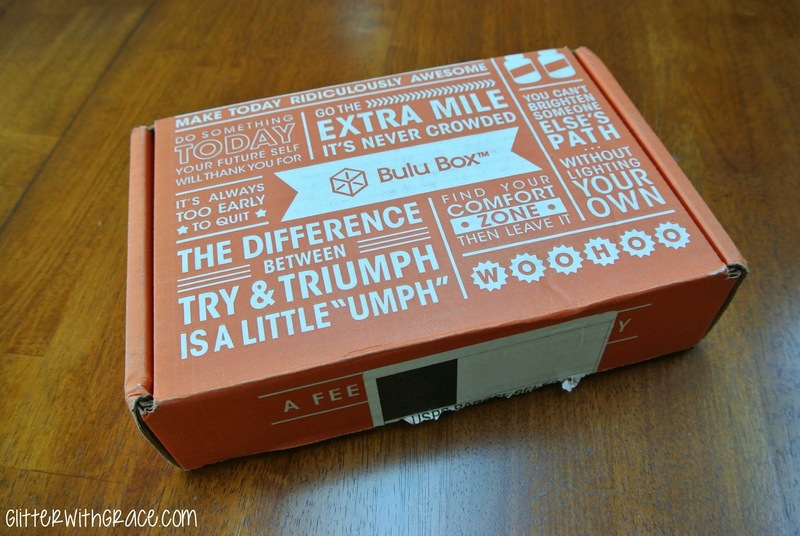 Today I'm going to do a quick review of my first Bulu Box. 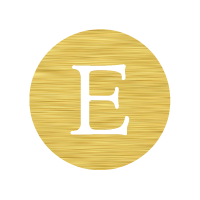 It is another subscription box, that sends you a monthly box of products for a flat rate price. 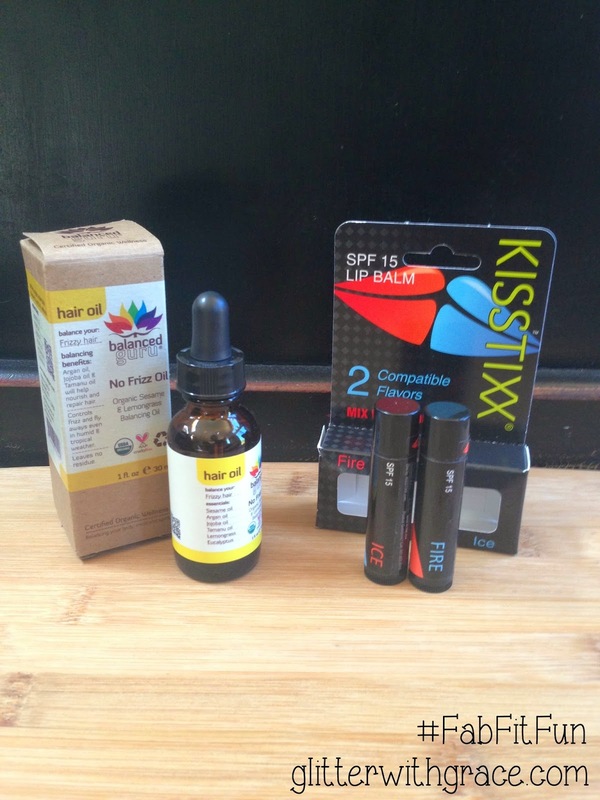 Bulu Box sends out vitamin and supplement samples each month. I will admit that this isn't a box that I would normally order on my own but it was on a great sale on Living Social so I snagged it up to try it for three months! The Frequency : Monthly, mine shipped around the 15th. 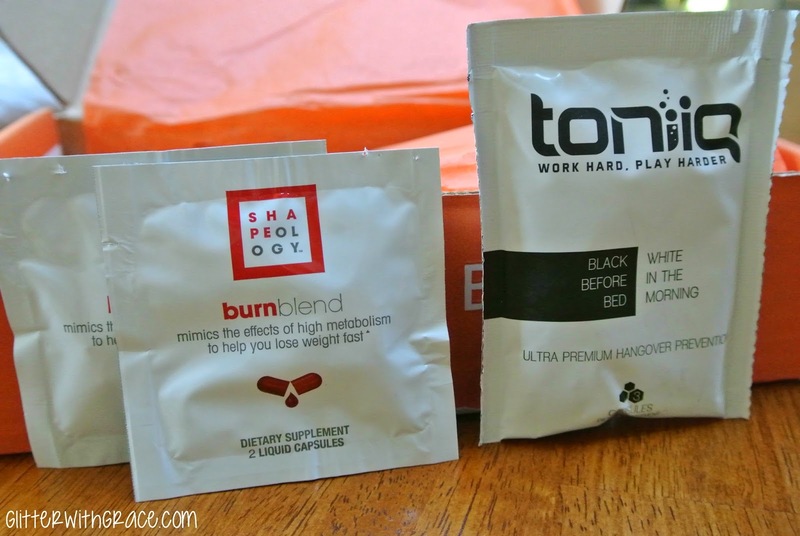 The Options : You can choose either the original Bulu Box, or the Weight Loss Box. I honestly don't know which box I got, I ordered from Living Social a few months ago and don't remember ever having the option to choose, but if I did I probably chose the weight loss option. Onto the products! I'm not going to go into extreme detail like I do with Birchbox vs. Ipsy only because I only have a 3 month subscription, and I didn't pay full price for this. I am not sure if I received the same box that regular Bulu Box subscribers received. If you want a full value breakdown, I can look into the prices for you, but most of it is just samples! "With clinically proven ingredients, Burn Blend mimics the effects of high metabolism so that you burn more calories and lose weight fast. Plus, its liquid delivery system means you can feel it working immediately." The full size pricing of this is 39.99 for 60 capsules. I was really excited to see this in here! My boyfriend and I both have tried different protein powders from this brand and really enjoy the way the blend up and the way they taste. I'm excited to give the chocolate one a try! This is a single serving sample, but I'm most excited to try this. This is a combination of vitamins, amino acids, antioxidants and caffeine. It contains no sugars, artificial taste or sweeteners. The full size value is $44.95 for 60 capsules, and this sample bottle contains 30 capsules. This was worth around $22 so it totally paid for the box (or three boxes in my living social scenario). The ingredients look fairly normal in this and so I will definitely be trying this as a vitamin. These two samples were the things that I was most excited about. The informational packet says "Rutaesomn is a unique product that actually helps remove the caffeine from your body to ease you into sleep. It also helps maximize the recovery properties of sleep to help your body to burn more fat during the day". Full size value of this is $22.99 for 30 capsules and my sample just had 1 capsule. Not sure how to explain this one so this is what the card says ... "A change in diet can cause a drop in your blood's iron content which may result in a number of health concerns including feeling weak, fatigued or irritable. Pur-Absorb Iron restores your body's iron supply with a highly absorbable formula that is 100% natural". Full size value for this guy is $21.99 for 28 packets. Well there you have it! Like I said above, I have a 3 month subscription to this box, so I will have two more reviews coming your way in the next two months. I enjoyed receiving a different kind of subscription box, but I don't think I would have purchased this without the deal. I am kind of weird when it comes to trying new supplements or vitamins that I like to know exactly what is being put into my body. Bulu Box promises that they would never send out a sample that isn't FDA approved which makes me feel a little better. Hope you enjoyed this quick review, have a great day! Today's post is going to be another post about subscription services! 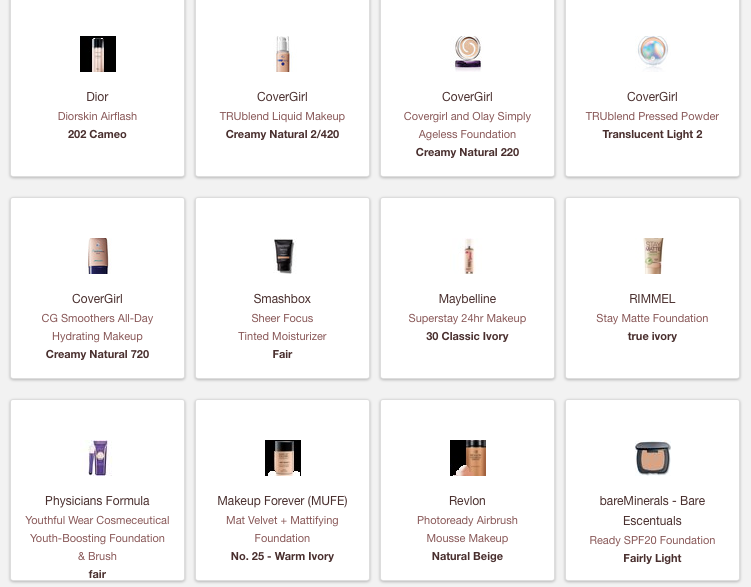 If you are unfamiliar with what a beauty subscription service is, it is a program that you pay for monthly (sometimes yearly), and a box of sample, deluxe, and sometimes full sized products show up at your doorstep in a box! In this monthly series I compare the two cheapest (that I know of) boxes on the US market. Birchbox and Ipsy. They both cost $10 a month and you get a box delivered to you with 4-6 products. Some months are definitely better than other months, but that is the fun of subscribing to one of these services! You can get started with Birchbox HERE. You can get started with Ipsy HERE. I have a few different pictures for my Birchbox this month because some of the products didn't want to stand up, and some didn't want to lay down! Blogger problems ;) They will still be numbered as normal, sorry if it is confusing to anyone! 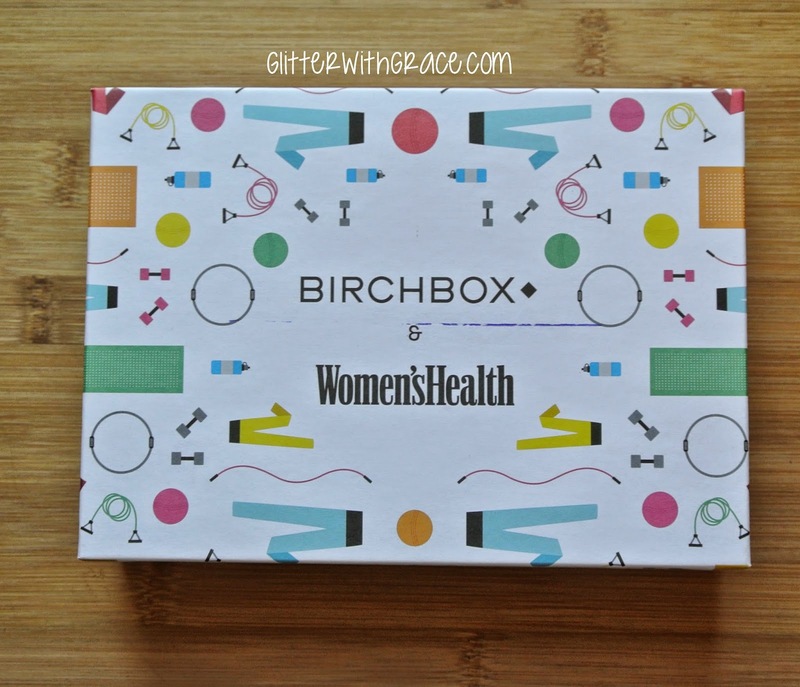 Birchbox teamed up with Women's Health this month to curate this box! There was a pamphlet inside containing 12 challenges that you can do to #PowerUp your summer. 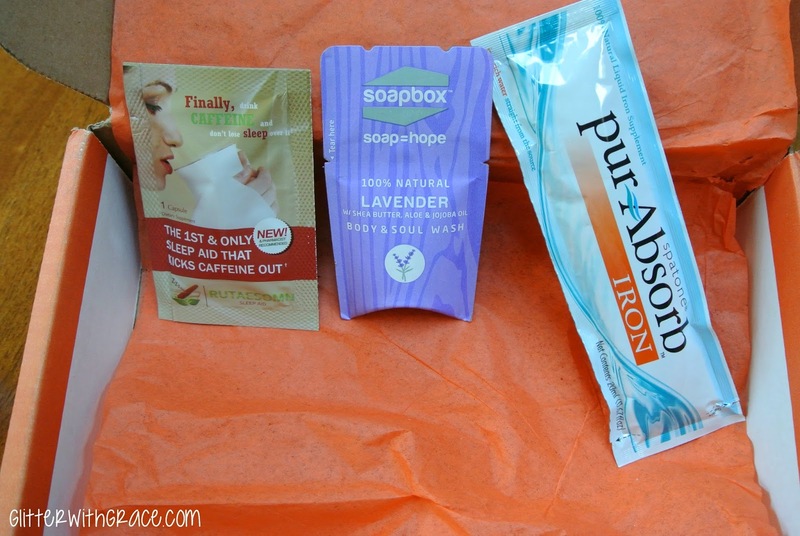 Birchbox : What was in mine? Thoughts - I love receiving eye cream in boxes because it is something that only uses a tiny amount, so samples last a really long time! I currently have 5 or 6 samples of eye cream and I feel like I'll never get through them! This is about half of the full size, and it has great packaging. This will last me a long time! I just tried it out and it felt really nice, no fragrance, and didn't leave my eye area oily or greasy. Love it! 2. Whish : Shave Cream in "Acai Grapefruit"
Thoughts - This doesn't smell like acai or grapefruit, so not sure where the name came from! It doesn't really have a smell, but it's a good size. I will probably take this along next time I travel! Not disappointed by this sample, but not anything I'm overly excited for either. Sample Size - Foil Packet (ugh), .067 oz. Thoughts - I seriously hate receiving packet samples like this. They just seem to take up space and I very rarely use them especially if it is a shower product. I don't mind foil packets when it is a lotion or face product but I am very unlikely to take sample packets into the shower with me and fuss with the packaging. Not a fan. Thoughts - This is probably enough to try this two or three times, but I love any type of mask or peel so I'm excited to try this. It's kind of annoying packaging, but overall I'm excited to try this! Full Size Value - $34 for 20 Eyeshadows and 3 brushes. Thoughts - These are really pretty colors! Again, I'm much less likely to use eyeshadow out of a sample pack like this when I have so many palettes to choose from, but these swatch really nicely and are definitely colors that I like to wear! 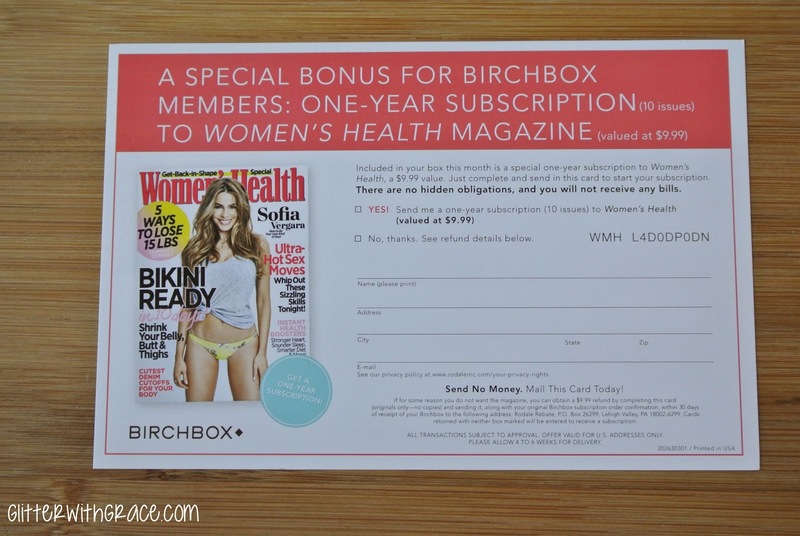 Birchbox gifted each member with a one-year (ten issues) Women's Health magazine subscription! You just have to mail back the subscription card, to start yours! You could also send back the card saying that you don't want the magazine, and you will get a $9.99 refund check in the mail. That is amazing, the box itself is $10 so you could literally get your money back if you don't want the magazine. I'm going to redeem my free subscription though, exciting! 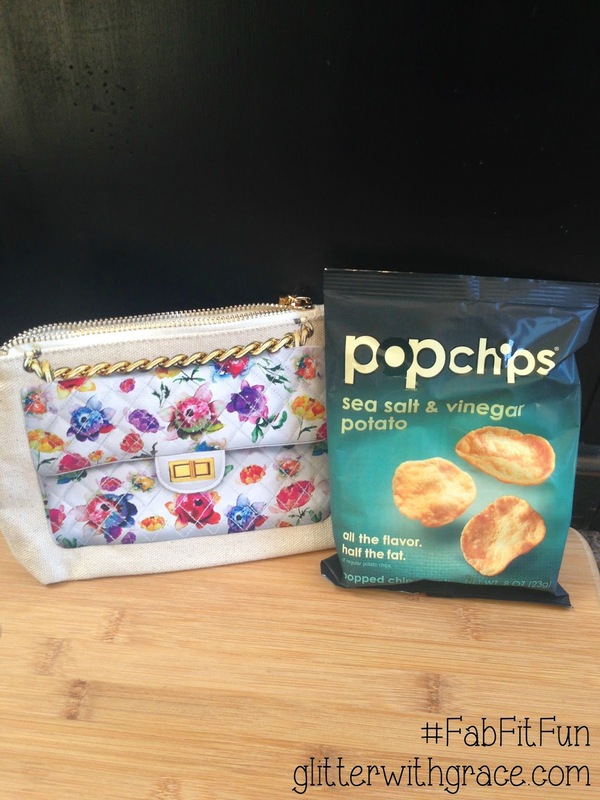 Up next, Ipsy! Like said in previous posts, Ipsy products come in a makeup bag each month! I absolutely love the bag this month. 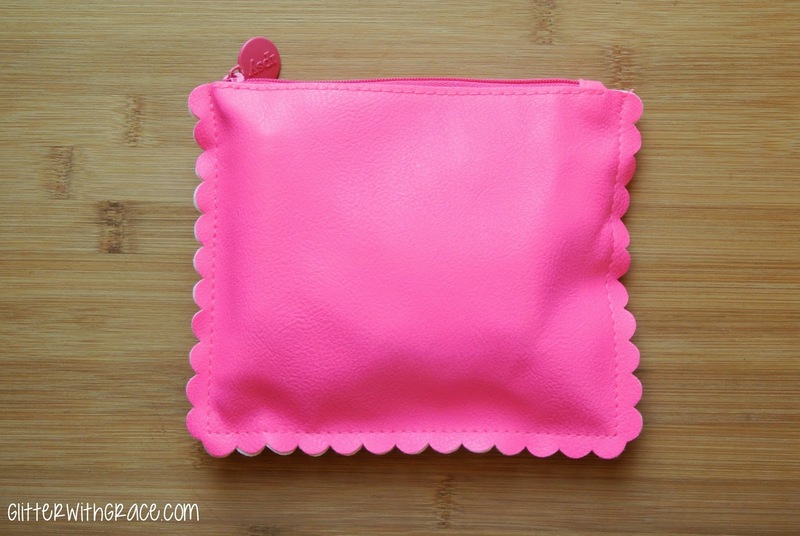 It is a really bright neon pink scalloped bag. I really like this! Ipsy - What was in mine!? Sample Size - The sample doesn't have a size on it, but looks really similar to the full size one that I'm finding online. This possibly could be a full size product. Thoughts - I got a really nice cool toned brown color. I like cream eyeshadows, but normally in a lighter color. It's a really great consistency, and I'm sure I'll get use out of it! Thoughts - This is a top-coat style of nail polish. I really love any possible nail polish out there, so this is a plus for me. I have something kind of similar already, but a girl can never have enough nail polish, right?! Thoughts - I've never heard of this company, and their website is kind of weird. I will try it out, it looks like any normal spot treatment that I would have sitting in my medicine cabinet. I'm not a fan of the packaging, it's really unsanitary. I'm sure I'll use this, but not overly excited about this one. Thoughts - Love it! 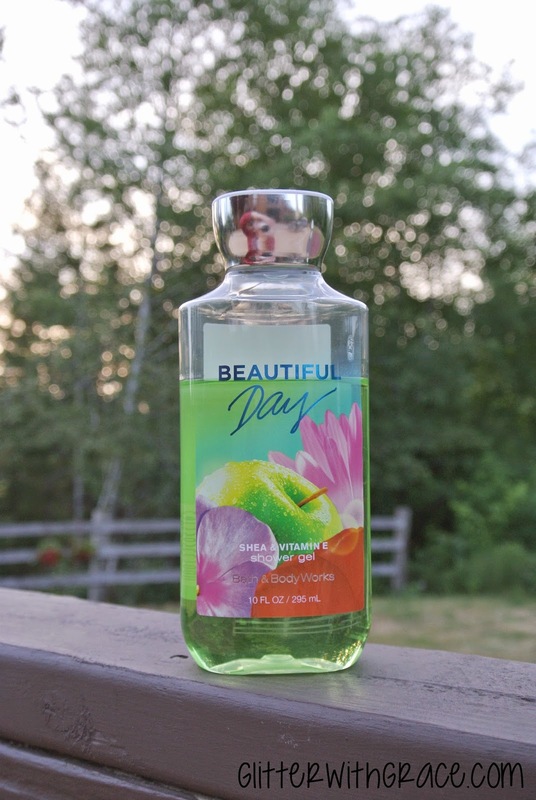 I love that it is in a spray bottle, and it smells great. Love a good tanning oil, perfect product for the summer time. Sample Size - About half a normal pencil size. Well, this month Birchbox won it for me. Ipsy usually wins every month because they usually include multiple full-size items. I feel like my Ipsy this month was incredibly random and I'm not really excited about anything in the box. Birchbox really stepped it up this month with larger samples (minus the body wash still in foil packets). 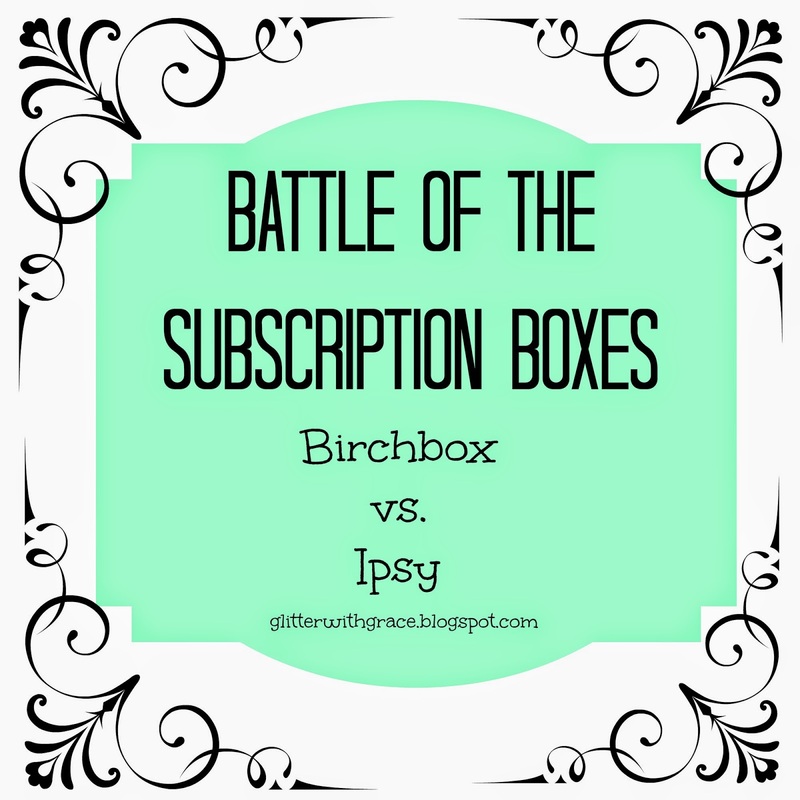 Including the Magazine Subscription is what really helped Birchbox win it for me this month. Do you subscribe to either of these? How was your box/bag different than mine? 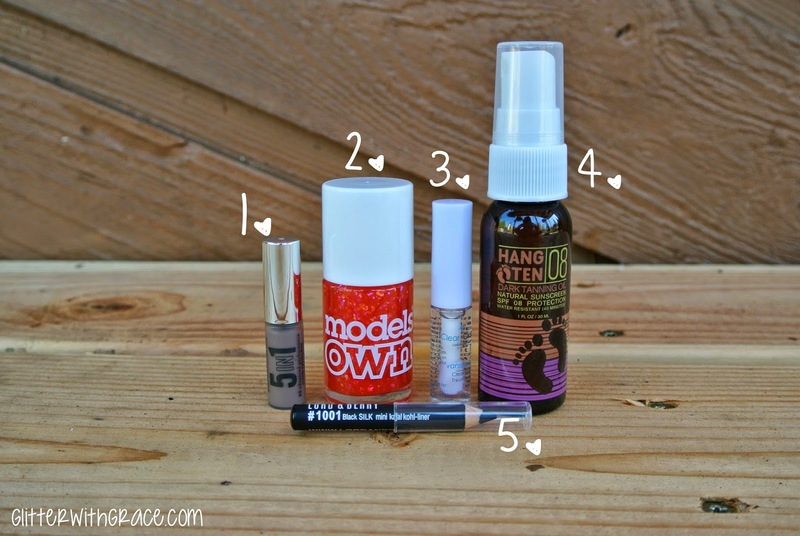 I recently did a post "All About Primers" to really put everything you need to know in one location. How to apply primer, what to look for, and certain ones that I love. 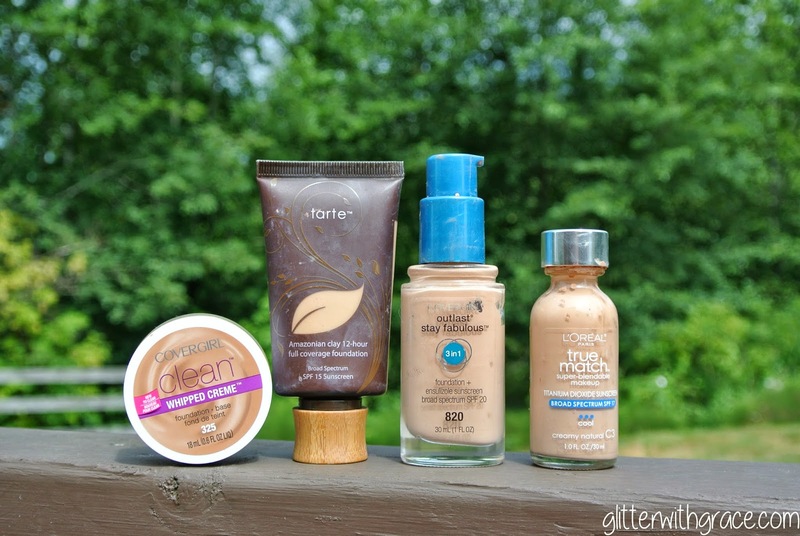 Today I am going to do the same post, but all about foundation! I think I will turn this into a series and every few weeks move on to the next item or product to really round up everything you need to know about it. I think foundation is something that scares a lot of people, it definitely scared me when I first got started with makeup. I never knew whether I was just supposed to apply it where I needed it, or all over, whether to use my fingers, or go buy a brush. It was all a lost cause for me, until I found a few tutorials that really laid out how to use foundation, and which ones are best for your skin type. Step #1 : What are you wanting? The first thing to determine when you are looking to either buy a foundation, or how to apply it, is what are you looking for overall. If you are comfortable with your skin's appearance and you just want to even out the color and give a sheer coverage, then you should look for a light to medium coverage foundation. If you are on the other end of the spectrum and you suffer from blemishes, or uneven skin tone, then you might want more of a full coverage foundation. My personal preference is a medium coverage foundation, I like to even out my skin tone, and cover up blemishes, but I still like it to look like my natural skin underneath and not like I'm wearing a mask. Most foundations will say on the packaging, or on the advertising whether it is a light (sometimes called sheer), medium, or full coverage foundation. Step #2 : Find your color! One of the biggest foundation mistakes that people make is applying the wrong color foundation. There are two steps to this, finding your undertone, and then finding your color. I have an entire post on how to determine your undertone. Once you have determined whether you are cool, neutral, or warm, then you can go within that range to find the color that best matches your skin. Another mistake people often make is trying to match the exact color of their face, and neglecting their body. If you exfoliate your face (which you should), then you are constantly exfoliating dead skin cells which is going to leave your face without much of a tan, which results in your face naturally being a few shades lighter than your neck, chest and arms. You should be matching your foundation to your neck so that your chest and face match perfectly while you have makeup on. There are a lot of posts on different blogs that can better help you match a color foundation if you are interested. My best advice would be to go into your local Sephora, and ask to get color matched with a popular foundation (NARS Sheer Glow, Makeup Forever HD, Kat Von D Lock-It, Estee Lauder Double Wear). After they have color matched you, ask for a sample to take home. Apply this sample at home to see if you are happy with the color match, make sure you go into natural lighting and see if it truly matches your skin and looks natural. Often in stores like Sephora, their lights are so bright that a color can look completely different in natural light. 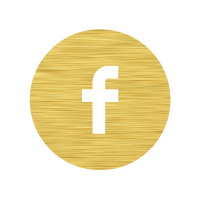 Once you have decided whether you like the sample or not, go to one of my favorite websites, Findation.com. Here you can enter brands of foundations that you have tried and the color that you are in that foundation, it will then match up other foundations that are similar colors. I ALWAYS check this website before buying a new foundation to see what color I would be matched up to. A few times the color hasn't been accurate, but for the most part it's pretty great! Below is a screen shot of what it looks like when you use Findation.com and find all of your matches. This step is completely personal preference. Some like to apply their foundation with their fingertips, some like using a brush, and others like using a sponge. I personally like using the Beauty Blender, but before I found that I used this brush that is pretty affordable. The tip with application, regardless of which method you choose, it to keep it minimal to start. It doesn't matter what method you use, the best way to ensure your foundation covers what you need while still looking natural is to start with a very thin amount. I usually apply a dot to each cheek, forehead, and chin. From there I blend it out using my beauty blender, and if I need more then I can add more once it is all blended out. Here are some good foundation brushes and sponges that I have used and loved. The main things to know while applying your makeup, is to start minimal, like stated above, blend, blend, and blend. Blending your foundation is the absolute most important part of wearing foundation. Make sure you blend it down your jawline, and down your neck. I just blend down what I already have on my face, I never specifically apply foundation to my neck. Other places where it is important to blend is around the nose, into the hair line, and around the ears. If foundation isn't properly blended around these areas, that is what can often make women look like they're wearing a "mask". If you are looking for a fuller coverage that is going to last all day, then you definitely want to apply a primer, and follow up with a powder. 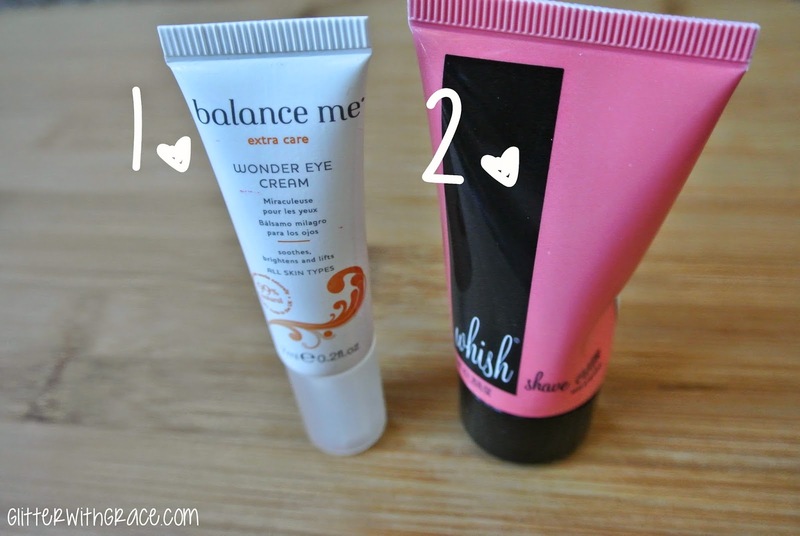 I have a post all about primers, and one about powders will be up soon! I like this one during the winter. It is a little too thick for me during the summer, but it offers a really natural look and tends to make me look like my skin has a natural "dewiness" to it. That is the reason I stay away from this in the summer because it can make my skin look a little oily but it's the perfect finish for winter! This is my foundation that I use when I know that I need my foundation to last all day and provide a full coverage. It isn't my favorite full coverage foundation (I'll talk about that one in a bit) but it does a good job and I love the brand Tarte, my skin works really well with their products. This foundation claims to act as a primer, foundation, and a concealer. I still use a separate primer with this, but this foundation is great. First off, it's available in the drugstore so its really affordable, also it has a great pump on it which is hard to find in the drugstore. It gives a really full coverage, matte finish, and stays on ALL day. If you're looking for a cheap full coverage foundation, this is it! This is my all time favorite foundation. It gives a medium coverage, so this is my day-to-day foundation. It lets my natural skin shine through but still evens out the skin tone and covers up what I need to cover up. If you're looking for a great foundation that works well with multiple skin types and looks great, then this is a really easy one to start with. I broke my bottle of this the other day, which is extremely disappointing because it isn't cheap. This is my FAVORITE full coverage foundation. It seriously stays on through anything, covers anything, and blends out so amazing that it still appears natural. This is what I use if I have a special event, or if I know I'm going to be gone all day. I'm already cringing about having to repurchase it, but it is so amazing. If I had to narrow it down, it would be #4 and #5 so I could achieve both a natural look, and a full coverage look. 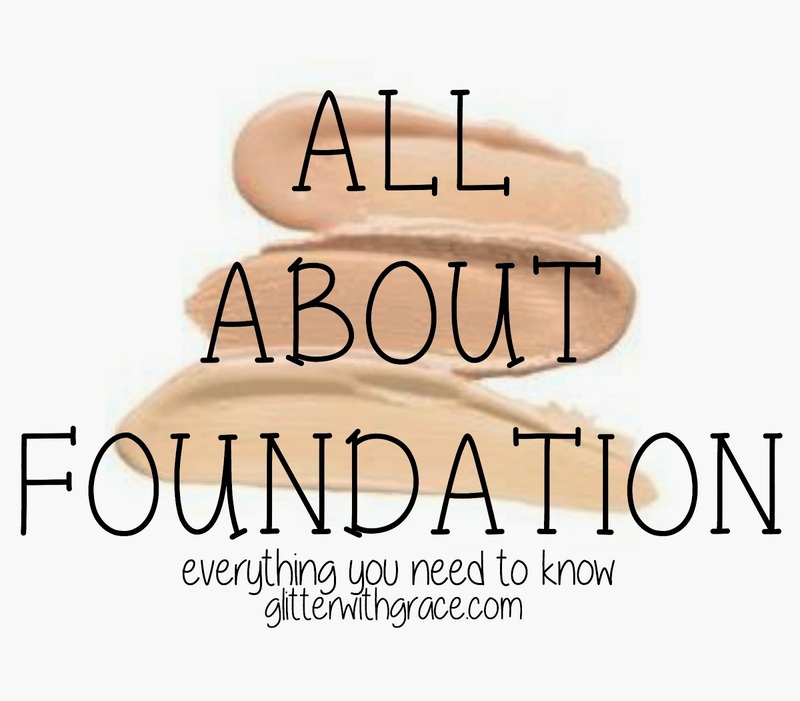 Foundation is something that is different for everyone depending on the finish they are looking for and the amount of coverage they need. Hopefully you enjoyed my tips and tricks on finding your perfect shade and achieving a perfectly blended face. If you have any further questions feel free to leave them down below! Question of the day : What is your favorite foundation? Thought it would be fun to share some random stuff with you all that I'm currently enjoying. I stayed inside and kept cool today and Pinterest sucked me in for quite a while. Hope you enjoy my random internet finds for the weekend :) Links can all be found in the titles down below! 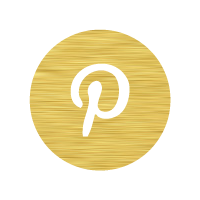 PS - You can find me on Pinterest here! 1. What your sleeping position says about your personality. - I found this article so interesting! According to this, I'm a "Starfish" sleeper which means "They are said to be very open minded and are great listeners. Starfish sleepers will really take the time to listen to your woes and victories" I mean I do want to be a counselor, so I guess you could say that is true? Ha! What is your sleeping position? Is it an accurate personality description? 2. 12 romance books for people who hate romance novels. - I have just recently got back into reading since buying a Kindle at the beginning of the year. I am always finding new books to add to my "must read" list. I am not a person who would "hate romance novels" but this list looks good to me! My top picks off this would probably be "The Fault in our Stars" (I actually have already purchased it on my Kindle, just waiting to finish my current book), and "Bridget Jones' Diary" ... Have you read any of the books on this list? - This music video is all over Facebook right now. The memo of the video is that you shouldn't have to try so hard to impress other people when your most impressive feature is your self beauty and your naked skin. I think she really bared it all in this music video taking off the makeup and photoshop and I think this is going to create a really beautiful message to women of all ages! - I took a exercise class last week with my best friend Karli and the instructor played this song during it and I immediately fell in love! It's so catchy, there are some bad words but I am so in love with this song! Ed Sheeran is slowly becoming one of my favorite artists! This video shows Anderson Cooper trying a schizophrenia simulator to see what it is like to live as a person who has schizophrenia. I majored in Psychology so things like this completely interest me, not sure if it will be interesting to anyone else. I like anything that can open my eyes to what it would be like if my life was on a different path. I think this is a simulation that all teachers/counselors/health providers should experience so they can at least have a sense of understanding when helping a child or another adult that suffers from schizophrenia. Well, there you have it. My random internet shares for the weekend :) Hope you all are enjoying your weekend! Today was a great mail day. I love when my FabFitFun box comes in the mail. It is my favorite subscription box ever because it truly feels like I'm receiving a present in the mail because it is ALL full size products and you really get a lot of stuff for the price you pay. With that being said it is a more expensive box, but you get better products. Here's the run down. Frequency : Seasonal Box (This box only ships every season. I receive 4 boxes a year, and therefore only pay that $49.99 four times a year instead of monthly like other boxes). I prefer a seasonal box because I get so much more excited for what's to come and don't feel so guilty about the price! Website : You can sign up here!! >>> Also, I have a coupon code for $15 OFF! Promo Code : 8413622 for $15 off this Summer Box while supplies last. Last Notes : If you choose to only use this promo code for a one-time purchase then just remember to log back into your FFF Account and cancel your subscription after you've received your box. This is a subscription service so it will charge you again in 3 months for the Fall Box (so excited). I think you will really be impressed though and want to stick around for following boxes! Okay so here is a quick overview of what my box looked like! Onto the breakdown of all of the products I received, their value, and my first impressions!! This is just a basic sunscreen. This brand is one of my favorites for skin care, I've tried their cleanser as well as their moisturizer and they are all really lightweight. This sunscreen was featured in Vogue as the Editor's Favorite Summer Product. This retails for $55. Already more than I paid for the box! This is a product developed by Gwyneth Paltrow's esthetician, and it claims to be a "miracle worker in 60 seconds". This baby retails for $95!!! It says it delivers instant results so I'm excited to try this out tonight. I was super excited when I saw this in my box! 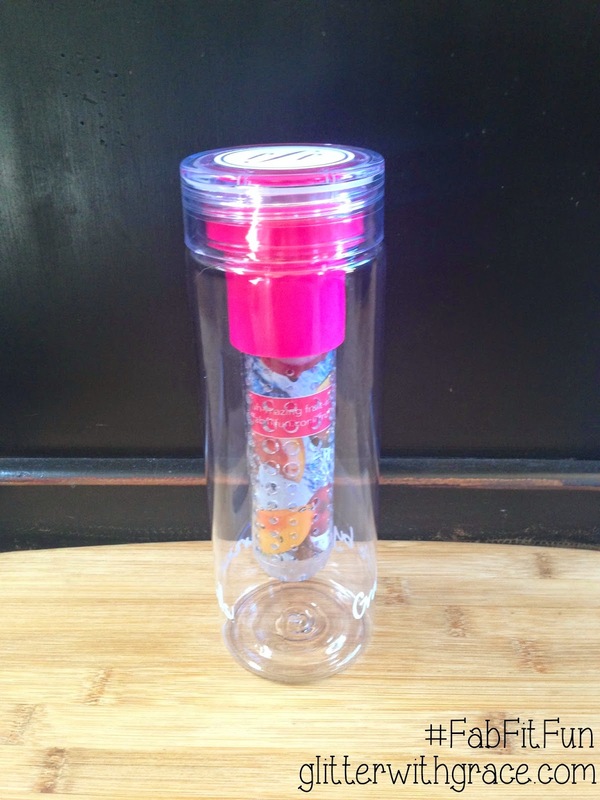 I love water bottles, and this one is really big! It also has a infuser inside, I've been wanting to try some infused water recipes that I see around Pinterest so this is perfect for that! This is a FabFitFun Product but retails for $15. There was 4 or 5 different variations of this bag that subscribers would receive, and of course I got the one that I didn't particularly like. The other ones had pretty peacock feathers and designs on them, I'm not a huge fan of this. I'm sure I can find some kind of use for it, but I won't be using it as a "clutch" anytime soon. The makeup bags from this brand retails for $35. Currently snacking on these while writing this blog post! They are pretty good : ) This bag retails for $1.29. This is a hair oil with a blend of argan, jojoba, tamanu oils and lemongrass. It has really good reviews online and says that it tames flyways really nicely and helps hair be smoother and sleeker. I am not a fan of the smell, the lemongrass smell is really strong in it. I love hair oils and will give this one a try, just wish it had a nicer scent. But that is sometimes what you get with natural organic products, which this is. This oil retails for $25. These lip balms are so cute to me. They are compatible flavors that are the directions are "choose your flavor and give one to your smooching partner and watch the flavors mis as you heat things up". I think this is such a cute concept, I will never complain about a lip balm. The set of two retails for $5.99. Zoya is one of my favorite nail polish brands! They retail for $9 and I love this color! It is a really pretty coral color that touches more on the orange side instead of pink. I might just be painting my nails with this color today! Love! These three products were all sponsored. Pretty much meaning that these companies paid the FabFitFun box so they could include their products. I'm not complaining, more products for me. These products are all pretty common and self-explanatory. 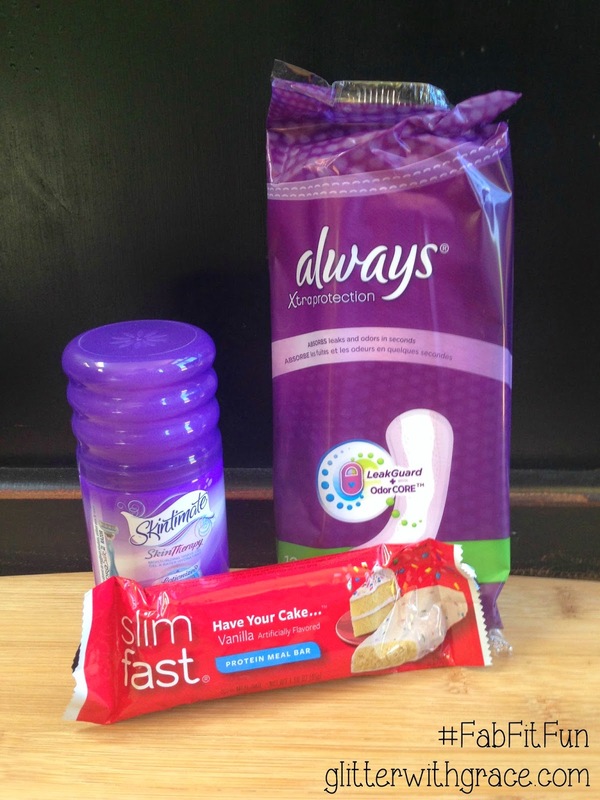 The mini Skintimate shave gel retails for $1.99, the sample pack of Always liners retail for $1.50, and the Slim Fast bar retails for $1. Well I hope you enjoyed my run down of the FabFitFun box! I absolutely love this service. Yes, it's expensive but I love trying new products and this allows me to try a lot of higher end products and discover new things. Don't forget there is a promo code up above for $15 off your summer box! My boyfriend left to go to South Korea for six weeks, I think that was cry-worthy! Other than that, I don't cry much! Update: I wrote this post a few days ago, and as of today I cried when I slammed my fingers in my car door. I'm pretty good with pain so that's a good rule of thumb of how bad it hurt!!! I thought this question was funny, but my answer is yes. I'm a very honest friend and always tell it like it is, and I would definitely want a person like that in my circle of friends. (How do you answer this without sounding snobby?!) Haha! Uhm, yes. Anyone who knows me can back that statement up! Posture and body language! I have taken a lot of classes that go into depth about what certain body languages mean and I definitely look at how a person carries themselves before even really paying attention to their certain features. This is hard for me. 9 times out of 10 I would probably say happy endings, because I like funny movies. Although, I do love a good scary movie! I have a love-hate relationship with scary movies, so I would go with happy endings! Anything lemon, or fruity. I also like coconut/paradise scents, but I don't like anything floral! On the more savory side, I like cinnamon and pumpkin smells for Fall! FALL. ;) Okay I cheated here, if I had to choose I would choose winter. I am not a fan of the heat (I know) and I like layering clothes and darker colors and accessories. I love colder weather and don't mind the rain or snow so I have a soft spot for fall especially, but also love winter. Cabo San Lucas, Mexico. Which really isn't too far from my home in Washington. Blogging, cooking and baking, reading, shopping, golfing, and playing games with family and friends. I don't have any pets personally, but my family has two dogs! I could probably make a huge list, but some are... Never Been Kissed, The Sweetest Thing, Mean Girls, Blue Crush, Baby Mama, pretty much anything funny! I'm pretty simple to please in the movie department. Yes indeed, I have two older sisters, Taylor and Jena. I'm the baby. I wan't to be happy, I wan't to be an amazing wife and an amazing mother. Career wise I am headed to Grad School soon to get my Masters in School Counseling to be an Elementary School Counselor :) I basically just want to help children get equal love and care regardless of their circumstances. Wherever that lands me I will be perfectly happy. 22. Is your hair naturally curly or straight? My hair is naturally straight, but I still straighten it if I want it to be straight that day. It is pretty frizzy and thick on its own so I like it to be sleeker if I'm like actually doing my hair. 23. What is your natural hair color? Brown. I'll let you in on a little secret though, I'm lightening it up next week!! So scared! 24. Do you dye it yourself or go to a salon? Kinda both. My sister went to beauty school so my "normal" dye job is just going a few shades darker and richer, she does that at home for me since she isn't currently working in a salon. As for lightening it up next week, I'm going to a salon. 25. Do you wear the same makeup/hair everyday or do you change it? Change it always. I have my "everyday" looks, but when time allows I love to experiment and try new things! 26. Do you do your own mani/pedis? I do my own manicures always, but I can't stand painting my toes. I get pedicures at the salon. 27. How long does it take for you to put on your makeup? I can have a full face of makeup on in like 6-7 minutes, I've really perfected that. Like I said above, I truly love getting ready and trying new things so if the time allows I can take up to like 30 minutes or so really taking my time and trying new things. 28. Do you collect makeup or just buy it when you need it? I don't purposefully "collect" makeup, but I don't wait until I'm completely out of something to buy a new one. I'll buy whatever sticks out to me or whatever is new so that often lands me with multiples of a certain type of products. I wouldn't say I collect it though. 29. Will you leave the house without makeup? 30. How many "high end" products do you own? I would say I own equal parts of drugstore makeup and high end makeup. I'm not going to go count each and every product but its pretty equal. I'm 21, I'll be 22 in a few weeks! 32. How tall are you? 33. Do you speak a foreign language? Unfortunately no, I took Spanish in high school but don't remember anything. I know a good amount of sign language, but I don't think I know enough to hold an actual conversation. 34. How often are you on your blog? Well I'm relatively new to blogging, but I check it daily to see if there are any comments to respond to and to check my stats. I try to post every few days. I haven't put a "schedule" on my posting yet, I don't feel like I need to. I am on it daily, but post every few days. 35. Do you read the comments? 36. Do you keep a list of products you want to try? Yes I do.... Embarrassing, but like I said I'm a product junkie and love to try new products. Whenever I come across something on another blog or YouTube channel that I want to try I add it to a list on my phone. That way I can keep an eye out for sales. 37. How did you come up with your blog name? 38. What kind of camera do you use? I have used my iPhone 5 for all of my pictures on my blog thus far. I just ordered a Nikon though so hopefully photos will get a lot better! 39. What's your favorite color? I like really neutral colors. Black, white, gray, cream, brown. Army green/forrest green is one of my favorite colors ever though. HA! That could be an entire blog post on it's own. The majority of my pet peeves surround around food. When my foods touch, using the same fork for multiple foods, watching others eat, watching others drink off a clear glass, opening someones fridge and seeing a ton of old food. Pretty much I get really grossed out by all foods, I've been that way since I was young. Fun Fact : I used a plate that had a separator on it until I was like 15. Ha!! Okay, well that is the "Get to know me" post. I hope you enjoyed getting to know me on a more personal level! If you have a blog I'd love to see you answer these questions on your blog! 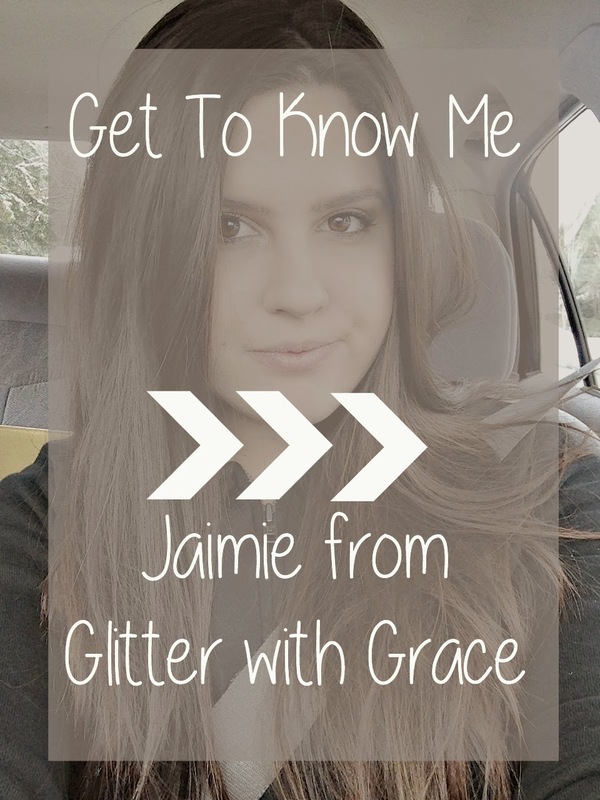 I know that I can connect a lot better with a blogger when I feel like I know them on a personal level, so hopefully this helped! 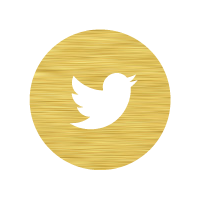 Question of the Day: Tell me something about yourself! Pick one question from this post and leave your answer down below, I'd love to get to know my readers better!! Dry Shampoo : Everything You Need to Know! There's nothing worse than sleeping through your alarm only to find that you have 15 minutes before you have to head out the door and you need to shampoo your hair! Greasy hair can be a total damper on a day and no matter how you choose to style your hair, it is still going to look greasy. Well, that is where dry shampoo comes into play! Today I'm going to go over all of the basics, and some tips and tricks for using dry shampoo. This might sound like a no-brainer to some of you that have experience with dry shampoo, but I wanted to clarify that first for those of you who have never tried a dry shampoo. It is exactly what it sounds like, a dry shampoo. It is to be applied onto dry hair, and it actually will only work on dry hair. Dry shampoo comes in an aerosol can like a hairspray would. Keeping your distance from your scalp is going to be extremely important to achieving what you're looking for. 6 inches away from the scalp is a good place to start, but most brands will let you know an appropriate distance in their directions on the can. Spraying the product too close to the scalp will disperse too much product in such a specific spot that you will get build up, and it will be really hard to disperse that product throughout your hair. For maximum results, you need to section out your hair a few times. If you were to just do a general spray over your hair as if you were spraying hair spray, it isn't going to perform like it is meant to. I pick up random sections of my hair and spray the scalp of that section that is exposed. I make sure to get around the frame of my face, my crown, and the bottom side of my hair by my neck. I use a pretty affordable dry shampoo so I can afford to get a little heavy handed. I really just spray it all over, but mainly focusing on the scalp. After you spray the product throughout your hair where you feel you need oil absorbed, it will probably look a little crazy. Dry shampoo is essentially powder in a can so it has a white appearance and your scalp/hair will probably look white or gray. Don't be alarmed, that is a good thing! For maximum results, you will want to let your hair sit for 5 minutes or so. This is going to allow that "powder" to absorb the oil before you start messing with it. After you've let it sit for a few minutes, it is time to rub it in. The best way to do this is using your fingers, NOT your fingernails. Using the balls of your fingers to really massage the scalp is going to rub this product into your scalp and disperse it throughout the rest of your head. It is okay to get a little rough and really kind of "scratch" your head without using your nails. The reason you don't want to use your nails is because that is just going to scratch out the product and actually make you look like you have dandruff. After you have really rubbed it into your scalp and all of the white-ness had disappeared, you're good to go! You should be able to style as normal, or throw it up, and it should look clean and ready to go! If you only have a little oil control that you are needing then you can style your hair first, see where you need some help, and then apply dry shampoo. It is all trial and error but I just prefer to apply it first when I know I need it. If you went through all of these steps and still feel like your hair looked a little too greasy, or if throughout the day you noticed your hair returning to its natural state, then you might need to try a different brand. There are SO many different brands that offer dry shampoo and they all perform differently. I have tried so many and I've found the one that works for me, but that same one isn't going to work for everyone. I have thick hair, so in order to clean that up, I need a heavy-duty dry shampoo. If you have extremely fine hair, then a light weight dry shampoo might work better. It is all up to the specific person and their hair type. 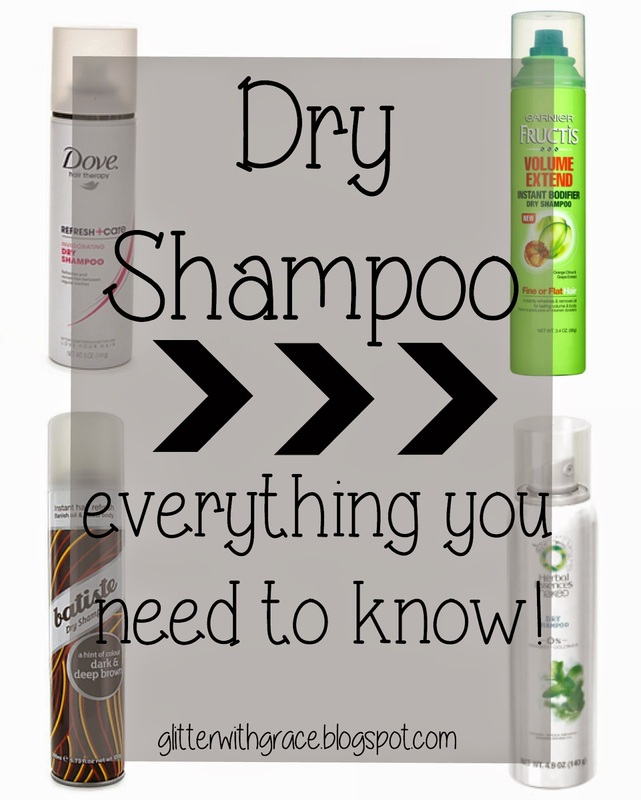 I hope you enjoyed these tips and tricks for using dry shampoo! I don't know how I ever went without dry shampoo, it is a total life saver! If you want to know the specific one that I prefer then you can check out my hair care essentials here. This post has really made me want to just start making videos to accompany my blog posts because some of these "techniques" are really hard to translate into words! Ha! Do you have a holy grail dry shampoo that I should try? Also, do you have a tip or trick that you have learned in your experience with dry shampoo? I'd love to hear, leave it down below in the comments! June was a pretty crazy month for me! I moved home from my college town, which was an exhausting week of packing and moving from a 3rd story apartment. My boyfriend also took off for a 6-week adventure studying abroad in South Korea, you can follow his journey on his blog here. This month went by really quick for me but was filled with amazing memories! Below I am going to share 5 products that really stood out to me this month, whether they are new or old products, these were my favorites during the month of June. I picked this up on a total whim from Target earlier this month and I've really been loving it! This is a daily spot cleaner for smaller brushes such as eyeshadow or eyeliner brushes. I still deep wash my makeup brushes with an actual brush shampoo (see how I do that here), but I use this on more of a day-to-day basis. To use this I spray a few sprays onto a towel, and then swirl my brush in it. It cleans out the current color you were using and leaves you with a clean brush that you can reuse right there on the spot. I wouldn't recommend using this on your larger brushes, those need a deep clean, but this is great for smaller brushes that you need clean to use a different color. This is my all time favorite lip gloss I think. The picture above makes it look a lot more pink than it is in person. It is a perfect "my lips but better" color for me. I love the formula of these glosses, they stay on, aren't too sticky, and give great color payoff. 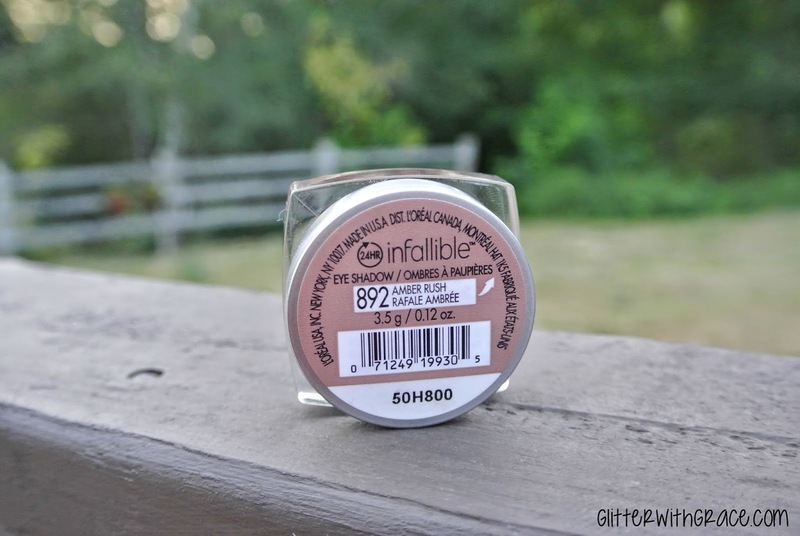 This color is fool proof for me as I can throw it on anytime and have it look good because it is such a close match to my natural lip color. I've had a sample size of this gloss for a while and finally purchased the full size this month and I'm so glad I did! This gloss is BRIGHT. 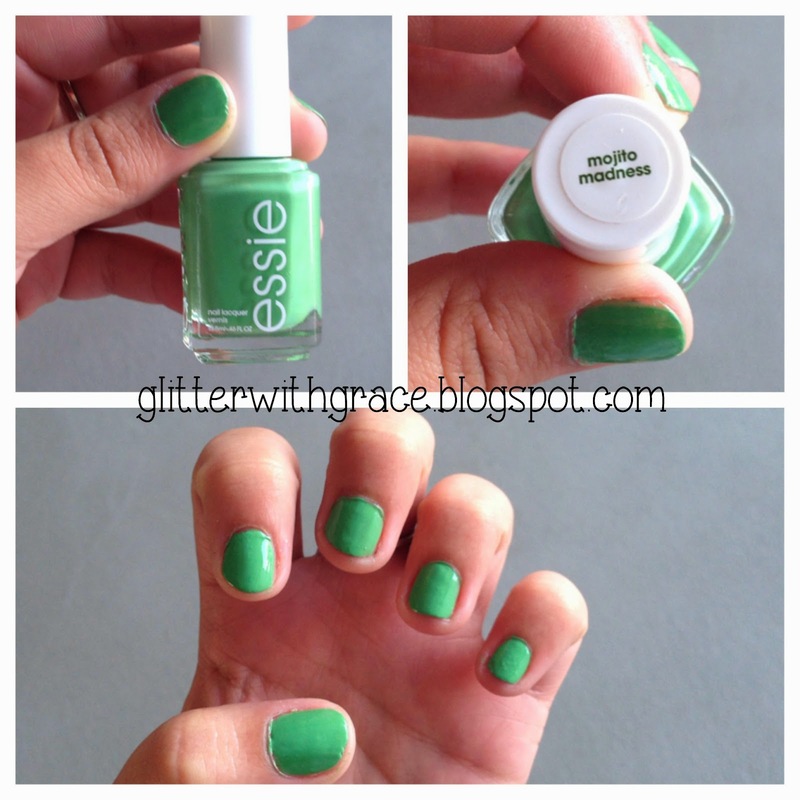 I absolutely love this color and will be picking up more colors from this line next time I'm at the drug store. It is called a moisture stain, which holds true because it feels very "watery" when applying it. If you were to use this all over your lips it would give a very pigmented coverage of a hot fuchsia color. I instead dot a few dots across my lips and then smear that out with my finger. It gives a shear wash of that bright color without being too obnoxious. This wears really well throughout the day as well since it is a stain. This has always been one of my favorite blushes, but I've been wearing it almost every day that I've worn makeup this month. It is a soft peachy-pink color and gives the prettiest wash of peach to the cheeks. 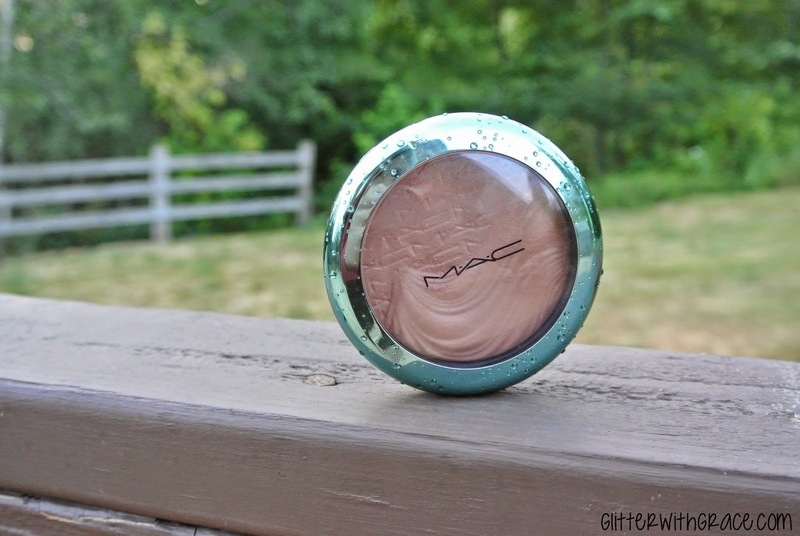 It is perfect for summer, and MAC blushes are my favorite formula as they wear perfectly all throughout the day. If you are looking to purchase your first blush from MAC this is a pretty simple color that many different skin tones can pull off! 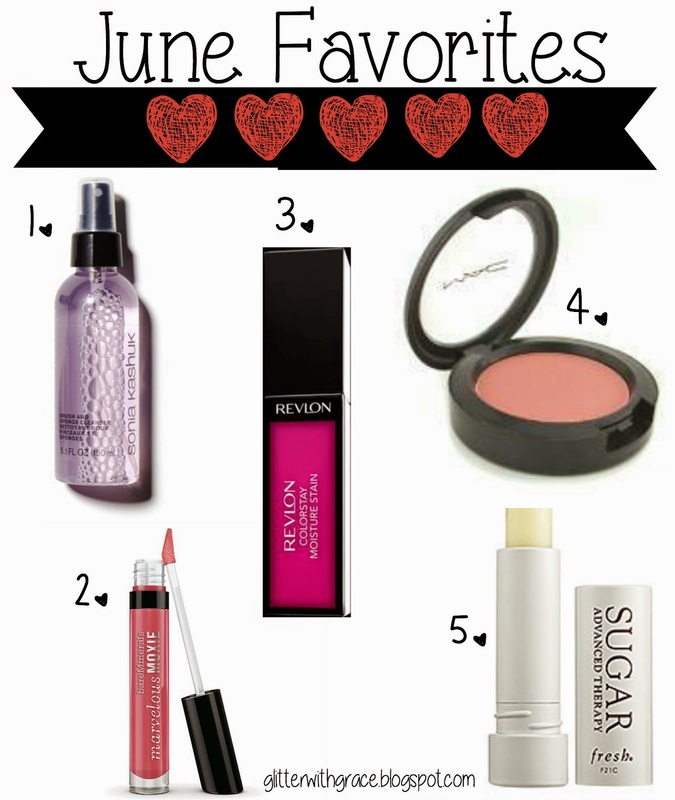 If you want to see my top favorite products from MAC you can check out this post. Another lip treatment, yeah I'm obsessed like I've said before. I've had this lip treatment on my wish list from Sephora for a long time and recently I purchased it. I am really glad I did because it is the best lip balm! It goes on so soft, keeps my lips moisturized for a long time, and just feels so luxurious. I have been exclusively using this during the day, and my Agave Lip Mask over night. My lips have never felt better! A month or so ago I shared a Nail of The Day post, and I planned on doing that every once in a while but I figured it might be a better idea to round up all of my polish picks throughout the month to introduce my readers to new colors, ideas, or brands. So here you have it, all of the colors I put on my nails this month! I loved this color. Green isn't a traditional color that I would normally reach for when painting my nails but I got so many compliments while I had this on. It lasted almost two weeks, and that was in the midst of packing up an apartment and moving. 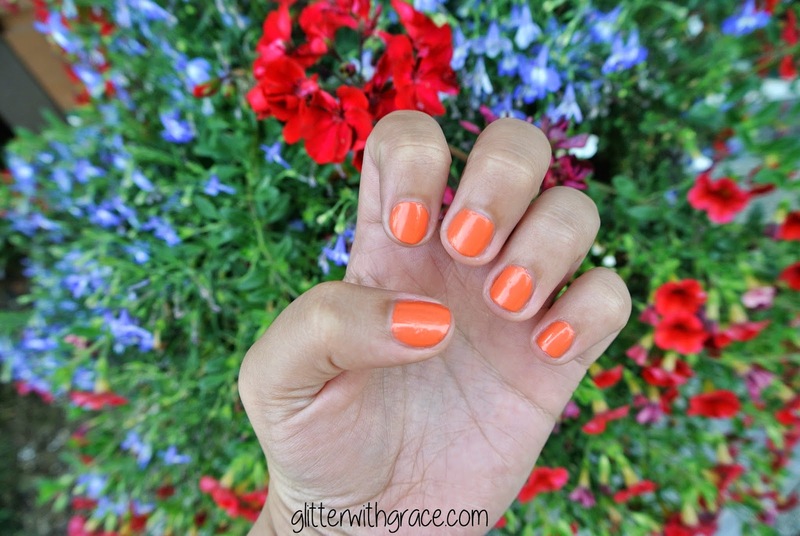 I loved this polish and it is unlike any other color in my collection! I saw a post on Instagram about these new color foil polishes and immediately was on the hunt to find them. I finally found them at my nearest Target for around $8 a bottle, I couldn't decide between silver or gold but then finally settled on gold. I really like the outcome of this, it really is unlike anything I've tried and gives a really cool "foil" texture. It unfortunately chipped really fast on my nails and didn't stay on very well. I think this would look better as an accent color instead of all over. Also unfortunately I don't know the color that is on my thumb. I was at a friends house when I tried this polish and the color on my thumb is hers. It is from the Beauty Supply store but all I know is it is such a unique black glitter polish! One of my all time favorite colors in my collection is Pool Boy (the baby blue). It is so bright, yet not obnoxious. I get a lot of compliments on this color as well because it is so eye catching. 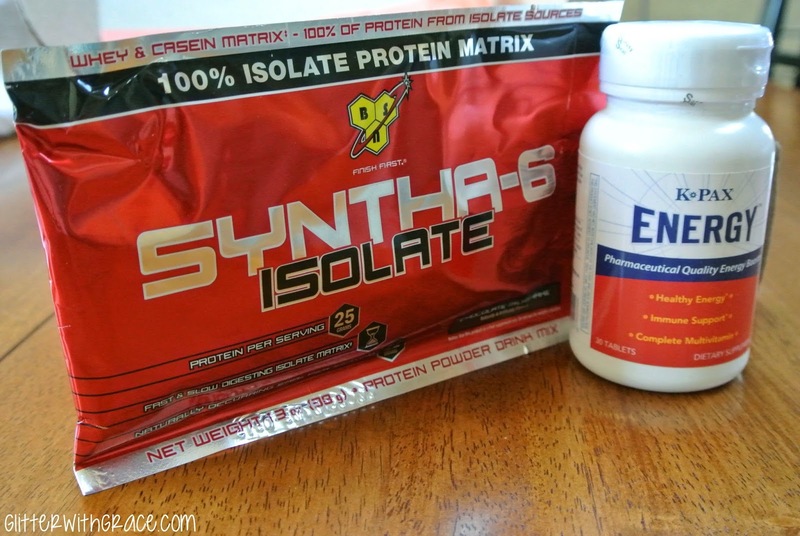 The formula is so perfect it goes on so smoothly, and lasts a long time. This brand retails for $10 a bottle, you can order of their website or through Sephora. The color on my ring finger is my favorite silver. 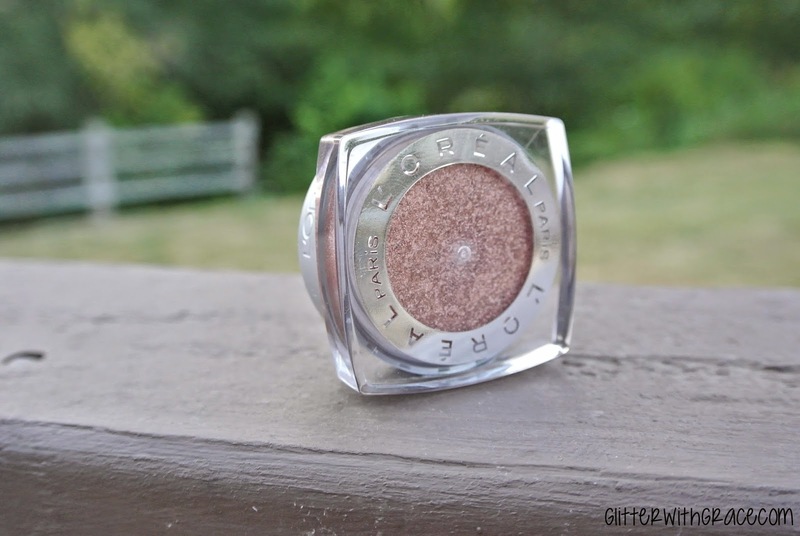 It is a really nice shimmer consistency that stays on really great! It is my go-to accent nail color. 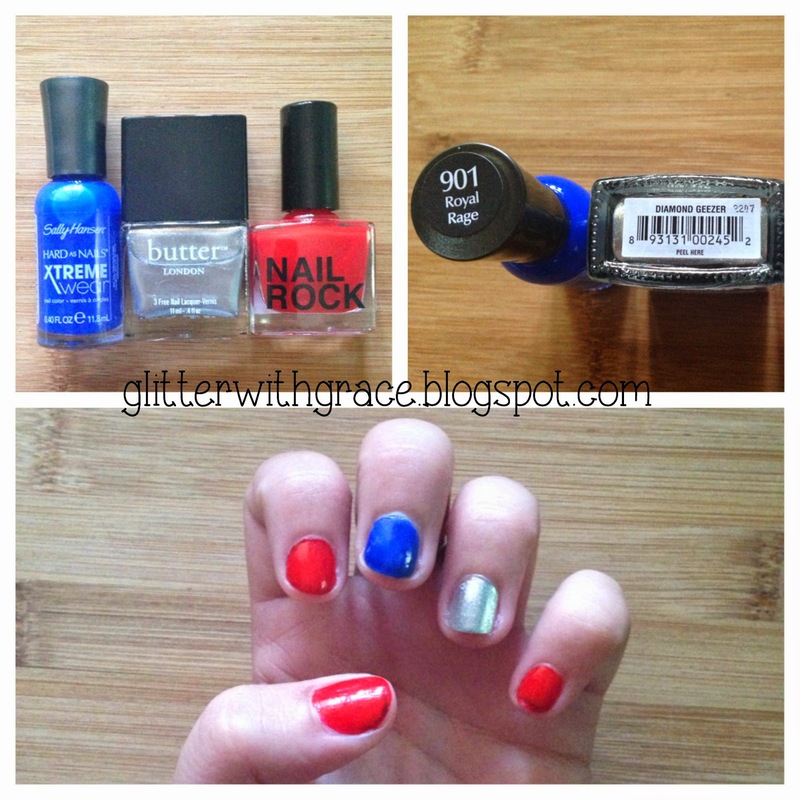 This is my 4th of July inspired manicure! The red color on my nails is from Nail Rock but actually doesn't have a name, which is really weird. I'm not sure if the sticker fell off or what, but I can't find a color on the bottle. It actually came with a nail glitter attached that you are supposed to apply over the polish but I decided not to use that for this. 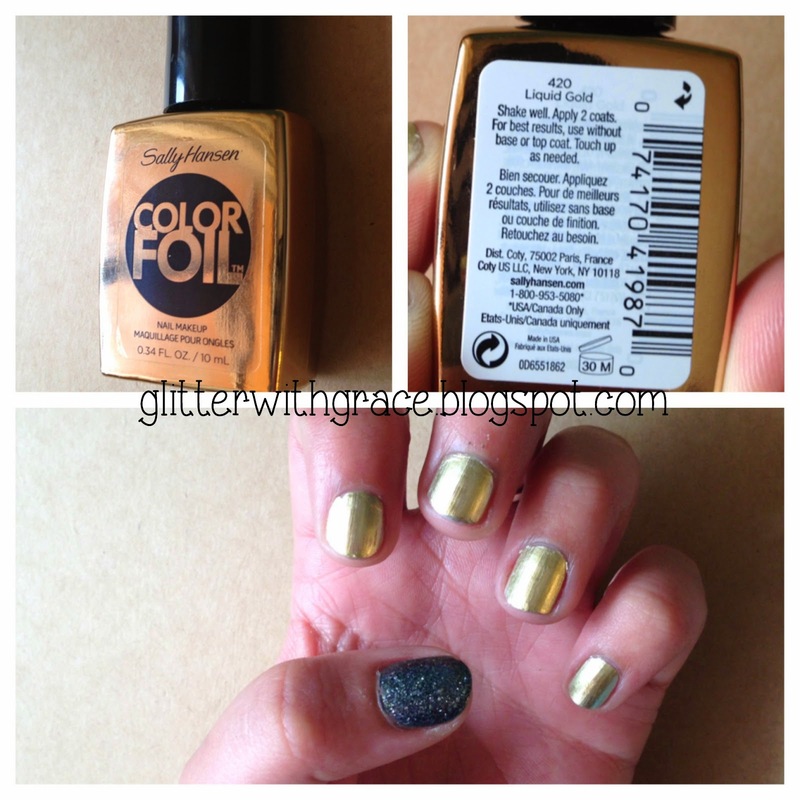 The silver on my ring finger is again the Butter London shimmer, like I said, its my go-to. The royal blue color on my middle finger is from Sally Hansen, extremely cheap and works great! Hopefully you found some color inspiration from this post. If you're addicted to nail polish like me then leave a color recommendation for me down below! 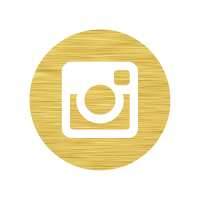 I'd love to see your nail polish pics so feel free to upload your mani to Instagram and hashtag #glitterwithgraceblog.